AOET Zambia's prime mandate is to provide an education to orphans and vulnerable children by helping them access good quality education. AOET centers on the child – the whole child. And in an environment of poverty, disease, and vulnerability, education is one of the most important predictor of a child’s growth and future economic certainty. 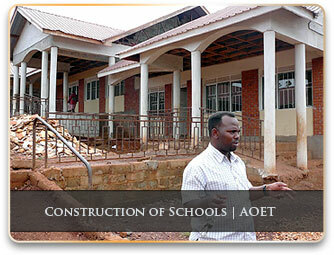 Operating in 5 African and 2 Western Countries, AOET International coordinating office (ICO) is the focal point where all AOET country programs meet for Vision and Direction. 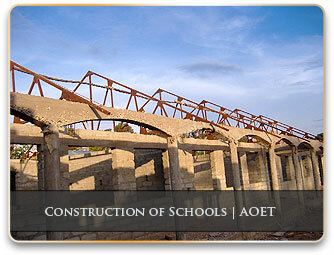 It is responsible for the whole organization - guiding AOET’s overseas relationships and collaborations, recruiting and Coordinating Volunteers from around the world to come to AOET in Africa and fundraising for major projects – all as set out in the AOET International Operations statement of October 2007. The ICO provides the means for AOET agencies/agents and Country programs to work together in pursuit of AOET’s overall international goals. As the secretariat of the organization, ICO is responsible for organizing annual international staff retreats, tracking projects and tasks, coordinating interagency documents, etc. It is also responsible for facilitating the development of Country workplans and their implementation by member agencies. All business / inquiries and other communications regarding AOET’s operations of International nature have their focal point as ICO. It is responsible for the contents of this website as well as other public materials about the organization in general and organizational policy. Providing secretariat support to AOET’s International Advisory Board. Support / Facilitate implementing countries (Promote efficiency in planning, development, implementation, monitoring and evaluation and prepare AOET Country programs and their staff for ownership, accountability and sustainability of projects. Fundraise and Fund individual Country capital projects (where country programs need them but do not have the resources to set them up).. Provide Vision and Direction. (Custodian of Mission, Values, and Strategic Goals for AOET overall). Countries do those things for themselves, within the framework set by ICO. They also do all their own operational planning). Start – and if necessary, Close Country programs. Hiring of AOET Country Leaders.